I have this box of doilies that my great grandmother made. Apparently I get some of my craftiness from her because there were a lot of them. I know that she also loved to sew. She passed away when I was a teenager, and the doilies have been sitting in a box in my mom’s garage for a while now. I knew they would be great for an upcycle project, but I wanted to do something with them that would honor her memory. 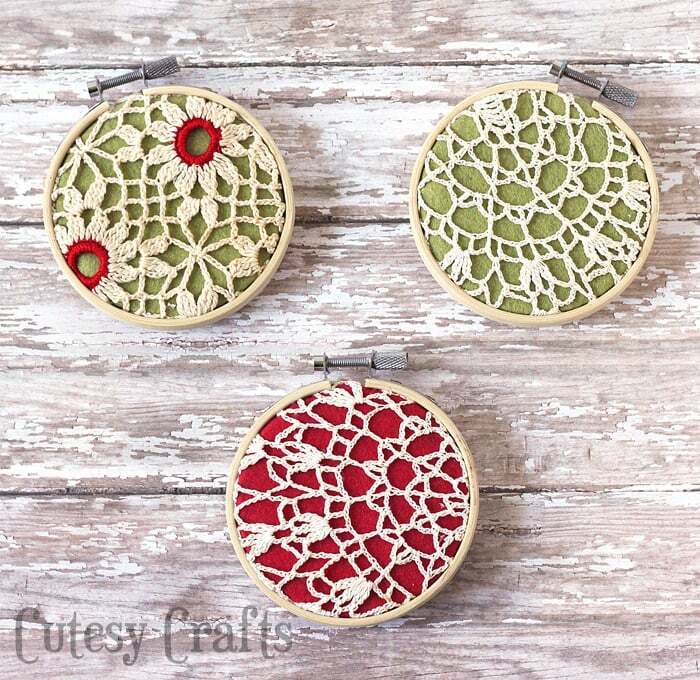 I was brainstorming some homemade Christmas ornaments this year and came up with the perfect use for the doilies. Like the ornament that I made in honor of my Papa a couple years ago, I’m going to give these as gifts to family members that loved my great grandma to remember her every year at Christmas. 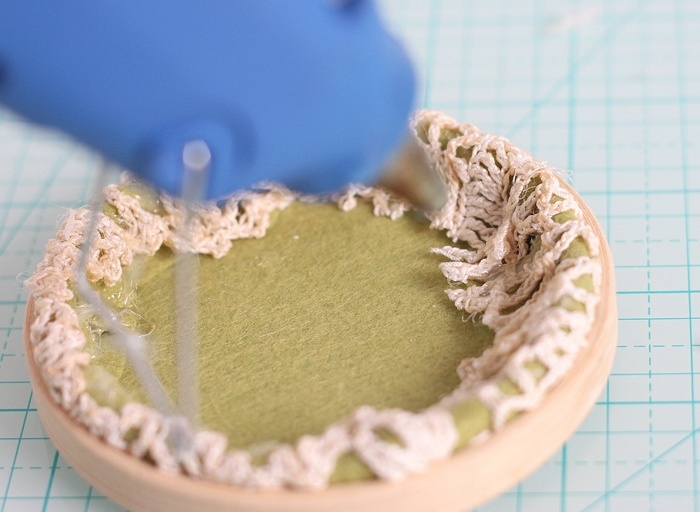 Cut a piece of felt a couple inches larger than your embroidery hoop. 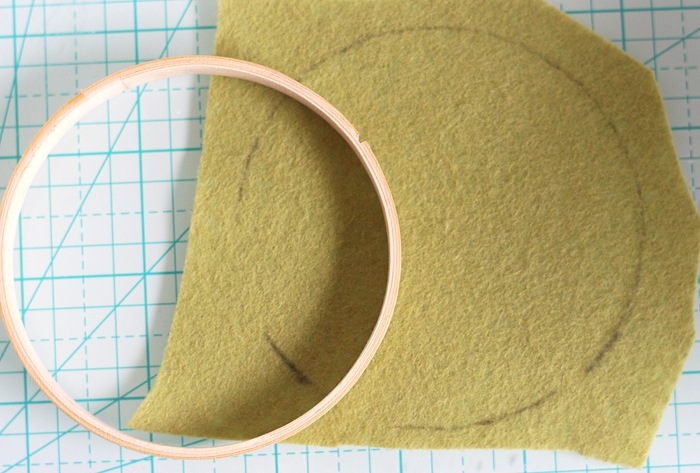 Trace a circle on another piece of felt with the inside of the hoop. Sorry about the color change in felt. I was working on multiple ornaments for the family at once. You want the felt to be all the same color for one ornament. 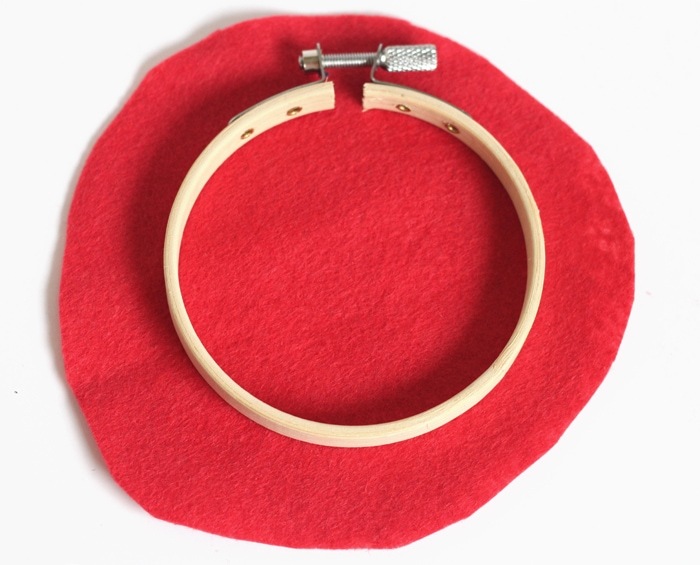 Loosen the screw at the top of the hoop and put your felt and doily in as shown below. 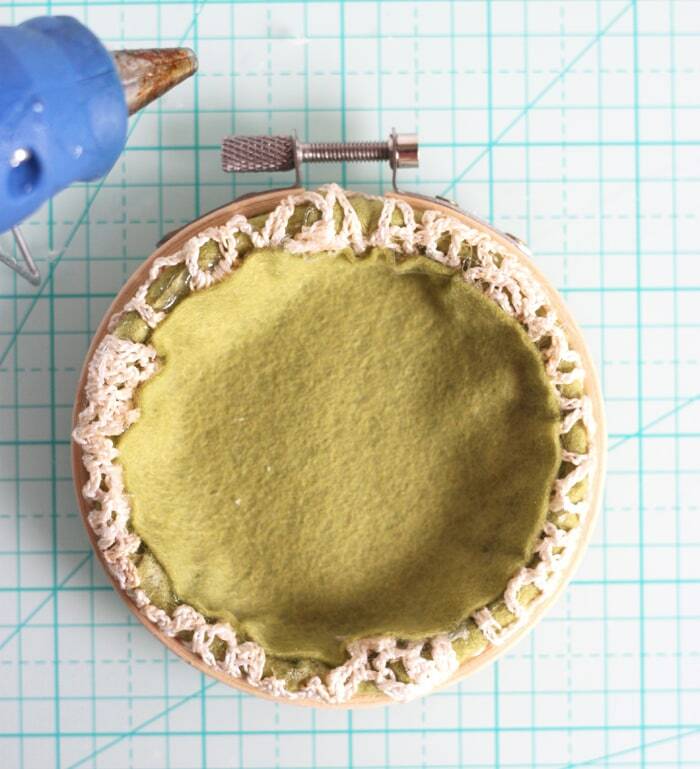 You will have to loosen the screw almost all the way since the doilies and felt are thick. If needed, you can bend the prongs on the top slightly to make it fit too. Tighten the top screw as much as you can and cut off most of the excess fabric. You need to leave enough to fold under to the back. 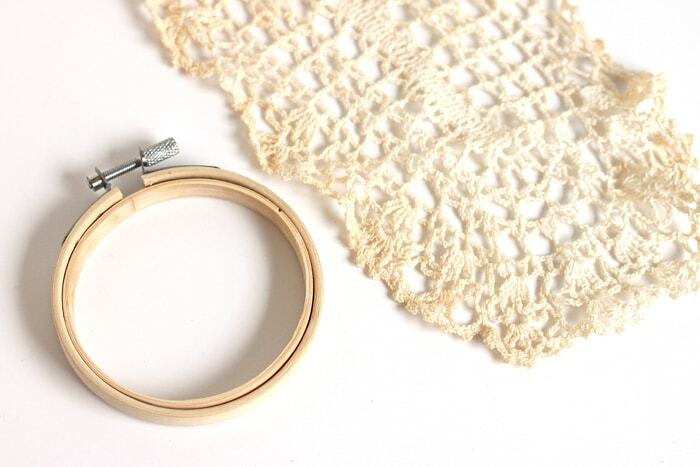 Fold the excess fabric under and hot glue it to the hoop in the back. Try to keep the glue on the hoop so it doesn’t seep through the ornament in the front. 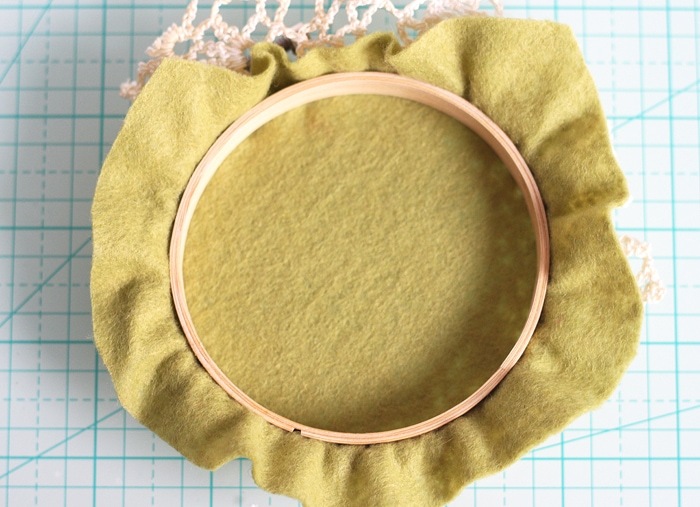 Hot glue the circle of felt that you cut earlier to back of the hoop. This just covers up raw edges and makes the back look prettier. Now all that’s left to do is tie a ribbon around the top for hanging. Very easy, and I think they are so pretty! I hope my family members enjoy getting some homemade Christmas ornaments from me this year. Click here to see all of the other ornaments that I have made on my blog. 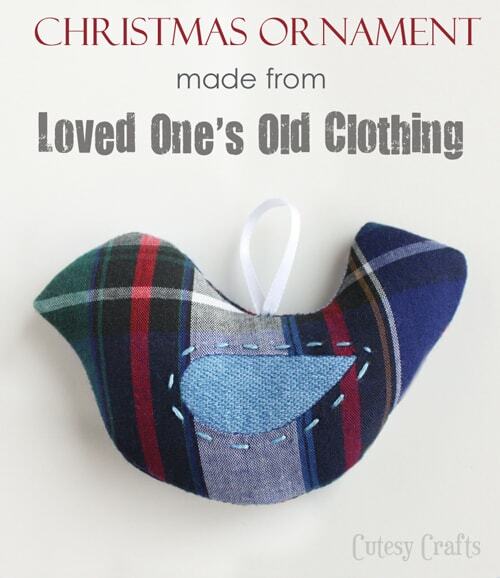 I think you will also like this ornament that I made from my grandpa’s old clothing. 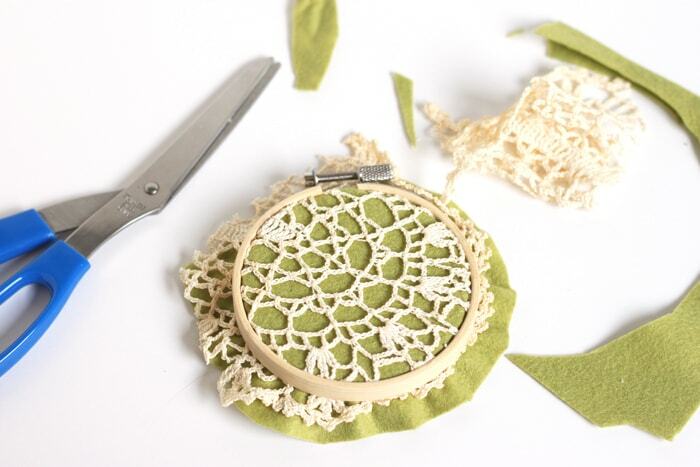 Lovely idea to use your grandmother’s doilies to create permanent keepsakes. 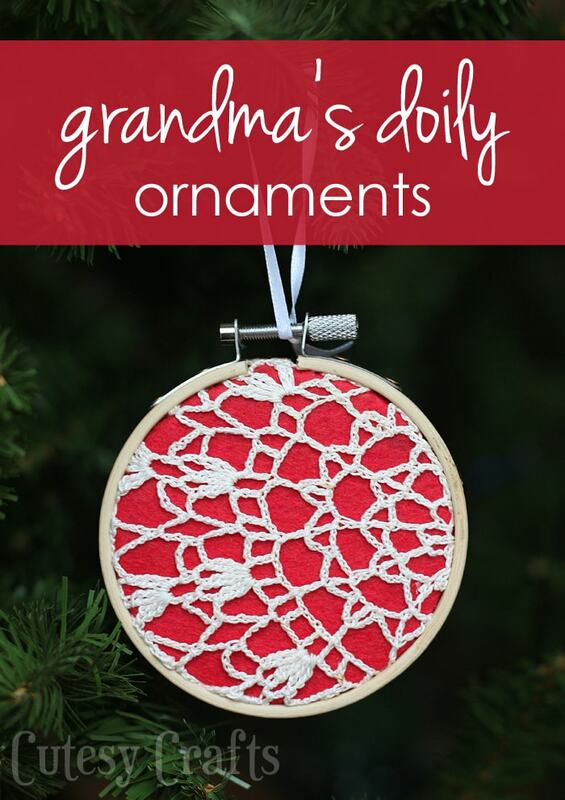 Great idea, I’m always looking for more ornament ideas using embroidery hoops. 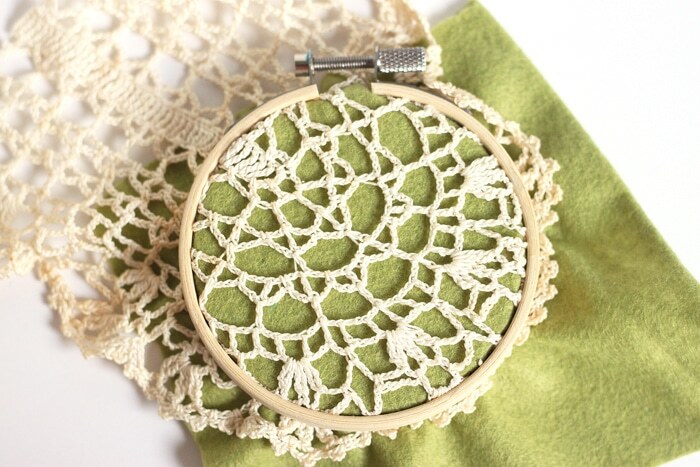 And I love doilies! Yay! So glad you are able to use this idea!